Scammers are tricky. They might sound official, and may know all of the right things to say. They could also contact you online from what seems to be an official-looking email address or a seemingly legitimate social media account. They could also be downright scary and demand your hard-earned money for you to avoid jail time, repossession or other threatening actions. Generally speaking, an employee of a financial institution or decent human being wouldn’t ask for your information over the phone without you first giving them a legitimate reason to. FSU Credit Union will never ask for sensitive personal information such as your Social Security number, PIN, account numbers or passwords via email. In today’s technologically advanced world, however, knowing exactly who you’re talking to and if they have good intentions can be tricky. 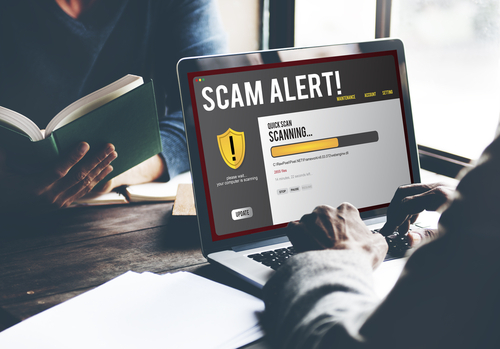 So let’s take a look at some of the most common types of scams, how you can avoid a financial catastrophe and what you should do if you think that you’ve been scammed. What are some common types of tech-based scams and how can I avoid them? Viruses and malware can trick you into downloading files onto your computer that can steal your data and information. These can be disguised as security scans, funny videos, important links or other intriguing clickable items. Ensure that your devices’ operating systems are always up-to-date, use reputable software and scans and delete anything you may think is a problem. 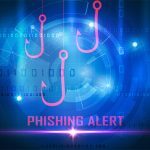 Phishing Scams can trick victims into giving up personal information or into clicking a malicious link in an email. Be wary of communicating with anyone you’re not certain is legitimate and know that most places wouldn’t call you and ask you for sensitive information regarding your accounts. Also, know your sources, especially online. If that link telling you that you’ve won money seems fishy, or too good to be true, don’t click on it. Emergency Scams take place when a scammer contacts a potential victim and claims to be a family member or friend in dire need of help. They may claim to be in jail, or tell you they’ve been in an accident, and are in need of money to get out of their undesirable dilemma. Try to verify their story with someone you trust, such as another friend or family member. If you’re being contacted by a phone number or online account that doesn’t seem right, try reaching them on the number or account you know is legitimate. IRS/Government Scams can be terrifying at first. Picture yourself taking a phone call or receiving an email from someone threatening to arrest you if you don’t pay them a large sum of money. Fortunately, the IRS or other government agencies don’t threaten to take you to jail out of the blue, ask you for sensitive information or encourage you to make a payment to them with a prepaid card. Identity Theft can be a complicated process in which a scammer or thief collects your information and may open up credit cards, apply for loans or withdraw money from your accounts, all while using your name. Make sure that you don’t give your information out freely, routinely check your credit reports, and look out for any withdrawals in your accounts that you didn’t make yourself. If you think you’ve been scammed, you do have options and resources to assist you. You should contact your financial institution. If you are an FSUCU member, please call 877-GO-FSUCU or 888-918-7774 (after hours and weekends) and alert them to your situation immediately. You can file a complaint with the Federal Trade Commission online or by phone at 1-877-FTC-HELP. You may want to consider adding identity theft protection to your accounts. FSUCU members can take advantage of Life Stages and FraudScout through CyberScout for just $3.95 per month. Reach out to local/state agencies to report scams. You can contact your local law enforcement agency, review types of frauds and scams on Florida’s Division of Consumer Services office, or contact Florida’s Office of the Attorney General, among other state agencies.